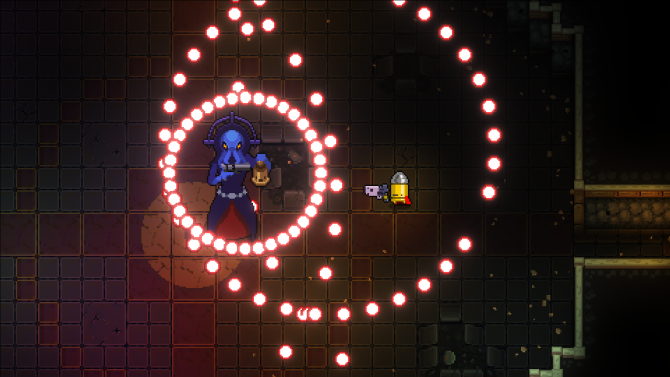 Dodge Roll and Devolver Digital collaborated with 22nd Century Toys to bring the roguelike shooter Enter the Gungeon to Nintendo's console hybrid. 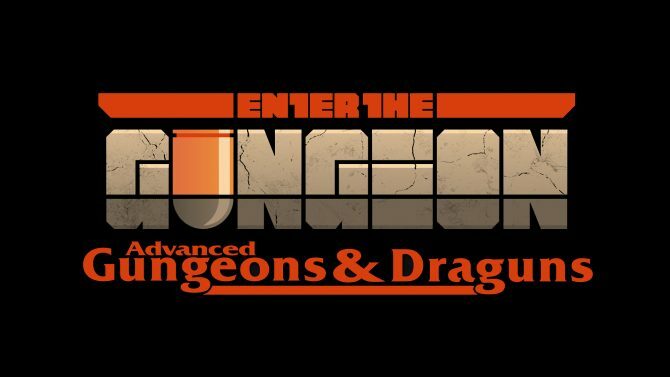 Developer Dodge Roll, publisher Devolver Digital, and 22nd Century Toys have worked together to bring Enter the Gungeon‘s unique dungeon crawling to the Nintendo Switch. A new trailer was revealed to celebrate its launch on the console hybrid. The Nintendo Switch version of the indie hit will feature the bullet-hell gameplay it has become known for as well as implement some of the features of the platform including local co-op by using one Joy-Con per player. 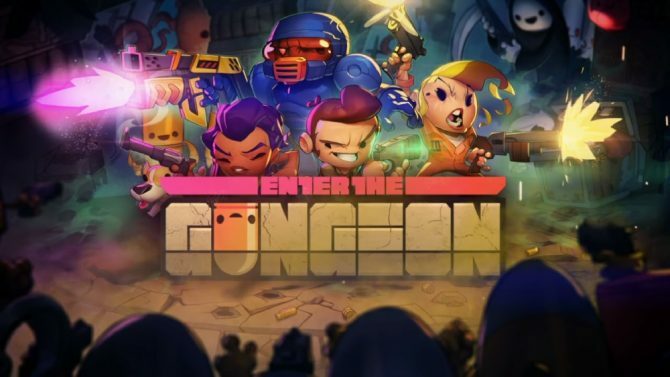 Enter the Gungeon follows a band of misfits as they shoot, loot, and dodge through procedurally generated dungeons to find a legendary weapon that can kill the past. 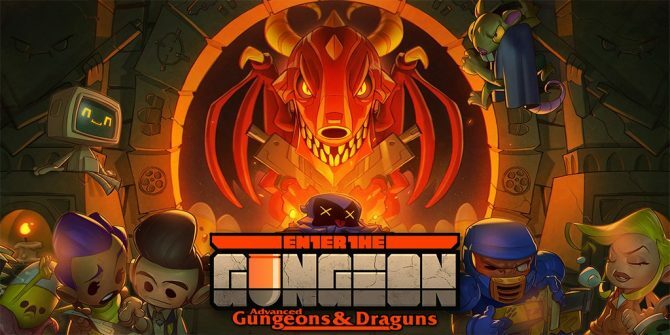 Enter the Gungeon was officially announced for a PlayStation 4 and PC released back in 2014. The game eventually launched in April last year garnering some favorable reviews. Since its release, the title has found its way to the Xbox One and now the Nintendo Switch ? which was announced back in February. Additionally, the roguelike shooter has seen some success with over one million in sales since its debut. Enter the Gungeon is available now on the Nintendo Switch in North and South America regions. It is coming to Europe on December 18th and Japan on December 21st. The Enter the Gungeon final update "Farewell to Arms" launches, adding new modes and the (IMPORTANT!) ability to pet the dog.